Ich is one of the most common aquarium fish diseases and is one you’ll likely encounter in your aquarium adventures. So, is there a secret formula to curing Ich? In today’s guest post, Kevin Liang, the inventor of the EcoQube has a little secret formula to share in curing Ich. This so called “secret” formula is surprisingly a chemical more commonly used with dogs, called Fenbendazole. 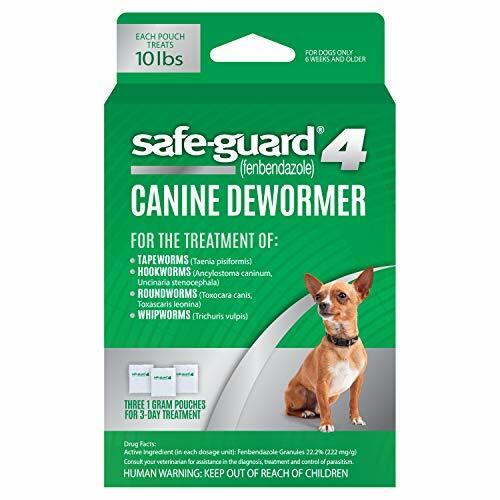 Fenbendazole is a chemical used in dog deworming medications such as Safeguard. It started being utilized in the aquarium hobby by hobbyists in shrimp breeding eradicate planaria and hydra. A great post on how and why to use it in shrimp tanks by planetinverts here. In addition to Fenbendazole, increasing the temperature to ~80*F, add small amounts of salt and adjust mineral content (Calcium, Magnesium, Total dissolved solids) according to the fish’s preferences. Fenbendazole is effective and super cheap! Minimal dosages can result in the cure of your fish! Given optimal conditions, 2-3 treatments of 1/32 teaspoon for 100 gallons every 3 days is all that is needed! We go by 1 small tweezer pinch for 20 gallons. Since it was originally used for sensitive Crystal Red Shrimp, it is extremely safe for all of your livestock excluding snails. Hungry fish feed on it and turn out completely fine! Kevin Liang from ADIventures.net began using Fenbendazole when breeding high quality Crystal Red Shrimp back in 2008 and have continued to use the medication ever since. Aqua Design Innovations (ADIventures.net) are currently running a $200 giveaway on their. Imagine saving $200 on your next desktop aquarium, not only that, an EcoQube aquarium too! In a somewhat accidental fashion in 2010, Kevin realized fenbendazole was extremely effective in assisting fish to fight off most protozoan as well as parasitic illnesses such as ich, heximita and many others listed here. After our discovery of fenbendazole and its effectiveness against ich, we introduced it to many members of the San Francisco Bay Area Aquatic Plant Society (SFBAAPS.org) community as well as the renowned Aqua Design Amano Dealer/Distributor- Aqua Forest Aquarium. Many members of SFBAAPS.org have been using it over the past 4 years now as well as Aqua Forest Aquarium in their quarantine tanks with little to no ill/side effects. When it was introduced into their fish quarantine systems, Ich was dramatically reduced from several aquariums infected with Ich to almost no aquariums infected over a period of 3-5 days. Do you have trouble with Ich in your aquarium? Try out Kevin’s “Secret Formula” above and report it to us in the comments section below. We hope sharing this information will save you all time and money making this hobby more enjoyable! Kevin Liang is the inventor of the EcoQube a desktop aquarium that uses basil to filter water (ADIventures.net). Kevin has been a hobbyist since age 7 and got his dream job at age 16 working at a fish store. Since then, Kevin has worked for public aquariums, distributors, LED manufacturers and started Aqua Design Innovations with a goal of bringing sustainable aquariums to the masses. Okay, but it’s worth noting that the use of salt and heat for the time it takes to eradicate Ich is much safer than the use of chemicals in the majority of cases. Ich is highly salt intolerance, and a dosage of 2 g/l salt (or about 5 teaspoons per 4 gallons) of aquarium salt will kill Ich in its free floating state. This is perfectly fine with even soft water fish like Neon Tetras for the short time required, which are thought of as salt intolerant. It’s also worth noting that brackish water at about 1.001 or 1.002 will prevent Ich from every occurring. Had a bad case of Ich in a 30 gallon community tank. Fish looked like they had been dipped in kosher salt. I raised the temperature to 82 and used Safegaurd Fenbendazole as described. Most fish were clear within a week. All signs of Ich were gone within 2 weeks. None of the fish showed any distress except for flashing due to the Ich. All of them survived. Thanks for the tip! No matter what chemical you use, beside raising the temp try covering all sides of the tank with black paper and keep lights off except for observation. A small bag of pennies also cures ich. Safe for scale less fish maybe not snails. But if you got scale less fish it’s unlikely you have snails😊. Don’t forget to remove the pennies. Copper doesn’t evaporate and top offs may produce lethal levels. Is this just for freshwater? I have a saltwater aquarium, where 1 new fish has a case of ich. Don’t understand how adding a little salt to the saltwater will help in any way. Not to disagree with the author , I have found you do not need a lot of chemicals to cure ick. I have a 65 gallon tank which houses discus,cardnials , rams , corys nd a few glass cats. when this tank got ick , all I did was raise the temp to 84, then added one tablespoon, of aquarium salt per 5 gallons of water. worked lik a charm, did not lose any fish and did not need to add any chemicals I have used this meathod numerous times and it always works . you can purchase large jars of the salt from pet solutions. have ick problems give the salt and temp a try. I really pity our two Hi-Fin Sharks that have ich all over their body. Good thing we were able to put some med called Ocean Free White spots Special and they look okay now although the spots are still visible. These ich started to appear after we transferred them to a bigger aquarium. Must be because they are stressed of the new environment and we didn’t know that too much light can cause stress to them too. But i’m glad we’re learning. First time aquarist here. Tried it on my 65gal – had results in one day! Worked very well without harming fish or invertebrates. Adding fenbendazole to the water of a tank of discus or angel fish (freshwater) can seriously harm ot kill the fish. Adding fenbendazole to the water of a tank of discus or angel fish (freshwater) can seriously harm or kill the fish. Just a tweezer pinch in my 20 gallon tank and the ich is almost gone the next day. I will treat it for a week once a day till it’s gone. It worked great. Way better than salt and heat and medication that killed my tetras. Does this harm plants? I have a 39g empty tank that I turned the heat up all the way, no fish cause all but 1 died after using different brands of Ich meds. The tank had no fish for 3 weeks. The Ich I read should have been gone with no host. I put more healthy fish in it and 2 days later they all had Ich!! How can I make this tank healthy again please? « Can You Really Keep Freshwater Aquarium Sharks?